← Ithaca Prepares for Big Greek Festival! Tulip Festival in Albany; Always One of the Biggest! 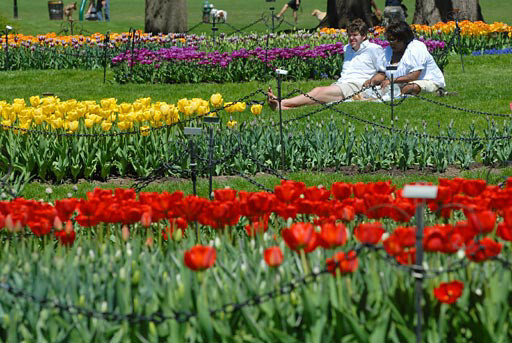 If you have never attended the annual Tulip Festival in Albany, you really should try and make it this year on May 10-11. It is fun, beautiful and fascinating in every way. The events mix the old traditions with the new, there is always something for the entire family to see and do and all of this plays out against the backdrop of 100,000 beautiful eye-popping tulips! "Tulip Festival" is Albany's Biggest Celebration!In "Albany County"
Tiny Medusa, N.Y. Invites You to Attend MedusaFest!In "Albany County"
Willkommen...to Albany's Schnitzelfest!In "Albany County"
This entry was posted in Albany County and tagged tulip festival. Bookmark the permalink.